Rising 9 stories above the Norwood section of the Bronx, Lisbon Place is a new residential building comprised entirely of one bedroom rentals. Apartments feature sustainable finishes, exterior shading devices, and a communal rooftop space. 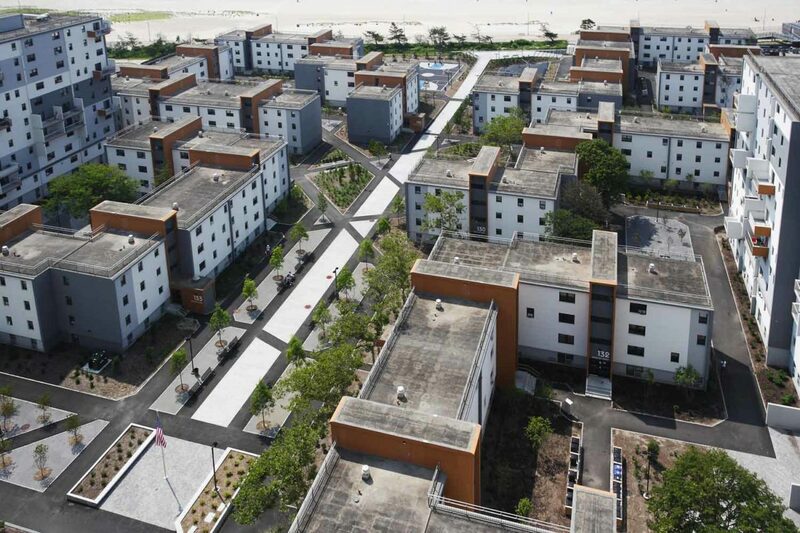 The building provides much needed housing in a design that remains sensitive to its surrounding context. 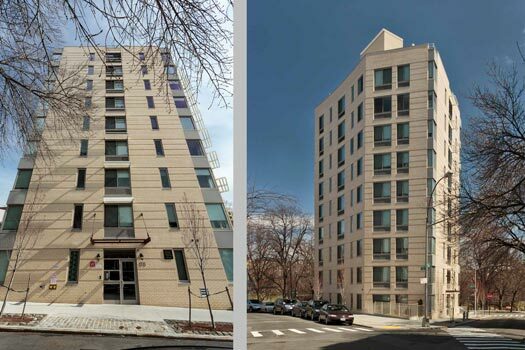 This award-winning LEED Silver and Enterprise Green Communities certified project provides affordable apartments and amenities for community residents ages 55 and over. The building features a recessed green roof, a high performance thermal envelope, recycled and renewable materials, and efficient mechanical and electrical systems. The architects took advantage of the steeply sloping site to bring in expansive day lighting and create outdoor terraces adjacent to recreation and program spaces. On-site amenities include a tenant library and multi-purpose room, laundry facilities, and support services. West Tremont Residence received the 2017 Big Apple Brownfield Award for Collaboration from the NYC Brownfield Partnership. 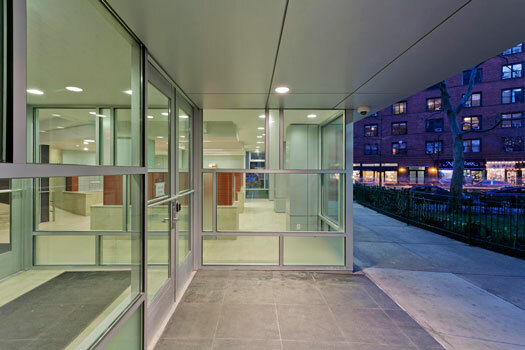 OCV was tasked to do a full renovation of the dual level lobbies at this East Village cooperative complex, whose existing conditions had made access to laundry rooms and mail boxes unmanageable for elderly and handicapped persons. OCV’s solution transformed the entires into spacious, light filled, fully accessible lobbies with mail plazas level with building elevators. These expanded lobbies with upgraded finishes, accented glass panes and new indoor and outdoor lighting welcome tenants home. 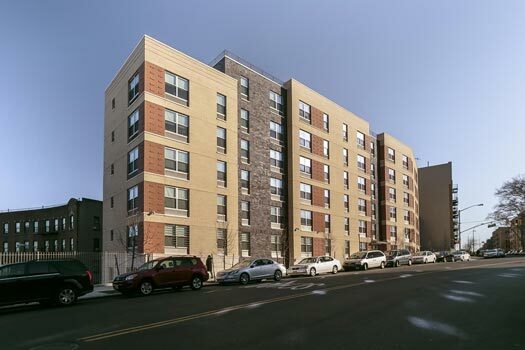 OCV was brought on to rehabilitate this dilapidated 1970s Mitchell-Lama mixed use complex, which had suffered from years neglect, a heavy burden of debt and City violations, and was then hit by Hurricane Sandy in October 2012. This trifecta of issues was used as an opportunity to improve the 13-acre property in its entirety. This restoration and renovation transformed an early 20th Century manufacturing building into four luxury lofts and a duplex penthouse in one of the Tribeca Landmark Districts in New York. Exposed brick, preserved wood beams and lacquered steel columns contrast with highly polished details such as glass tiles and doors, making the space fresh and light. 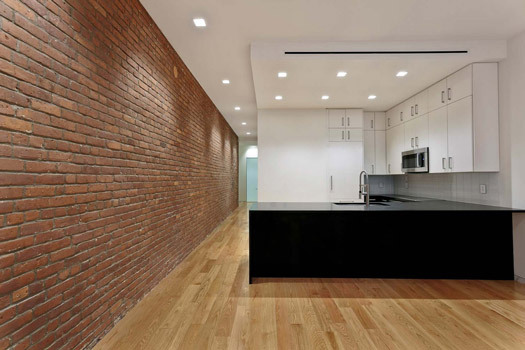 This renovation and addition converted an early 20th Century manufacturing building into four luxury lofts and this duplex penthouse apartment in one of the Tribeca Landmark Districts in New York. 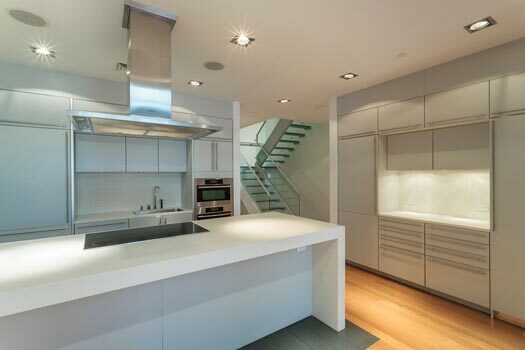 To create the duplex a new floor was added to the building, resulting in an open and opulent unit with high ceilings, glass flooring, and large windows and skylights that flood the interior in natural light. 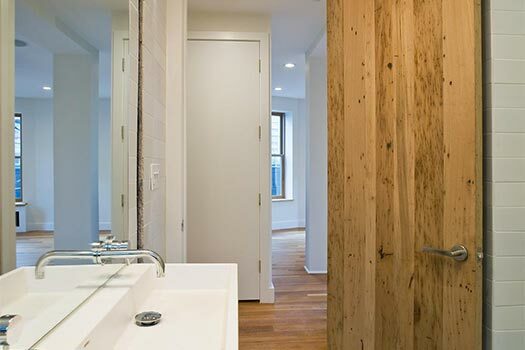 This small project for a newlywed couple reconfigured and modernized an antiquated apartment in the former Raleigh Hotel on the Upper West Side of Manhattan. OCV transformed a carved up three-bedroom unit into a roomier two-bedroom with open living and kitchen spaces. The couple worked closely with OCV to create a balanced blend of contemporary and turn-of-the-century that suited their taste and lifestyle. 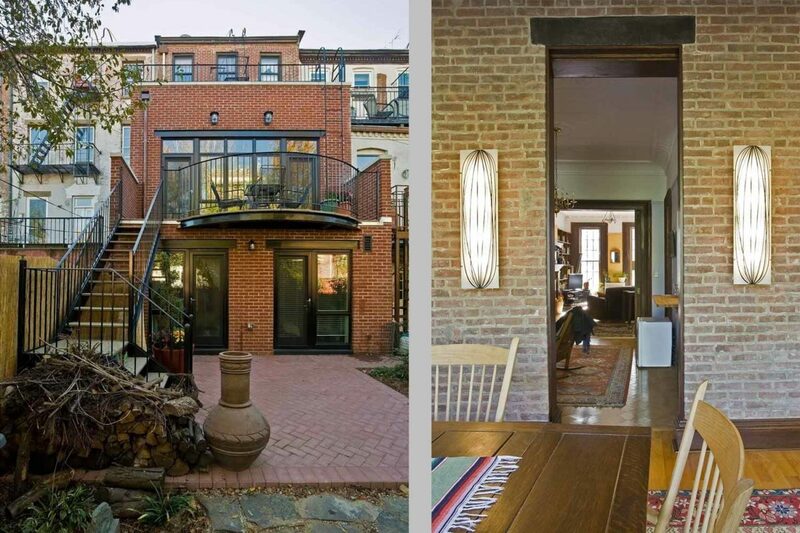 This four-story, early 20th Century brownstone saw the renovation and expansion of the owner’s duplex on the first two levels. A ground floor expansion of the rear resulted in an enlarged master suite and an additional bedroom. Above it, a grand room gives way to a terrace. 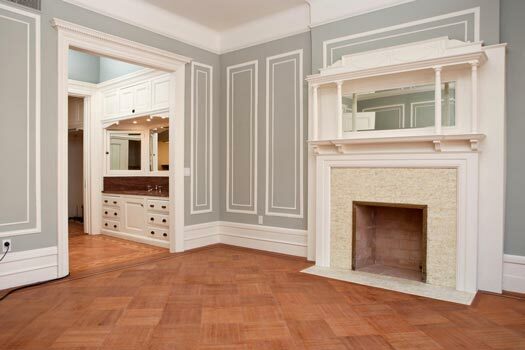 Existing historic millwork and details were seamlessly extended into the new spaces and structural damage that was revealed during construction was rehabilitated. 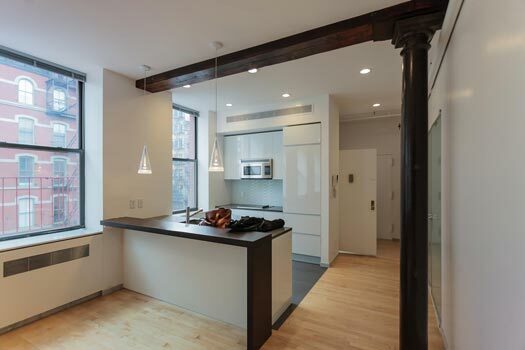 This three bedroom, three bath dwelling in Manhattan’s historic Tribeca district places the ease of apartment living into a rugged formerly commercial loft. Contrasting materials such as glass doors and exposed brick play off one another to bring warmth to a clean contemporary design.